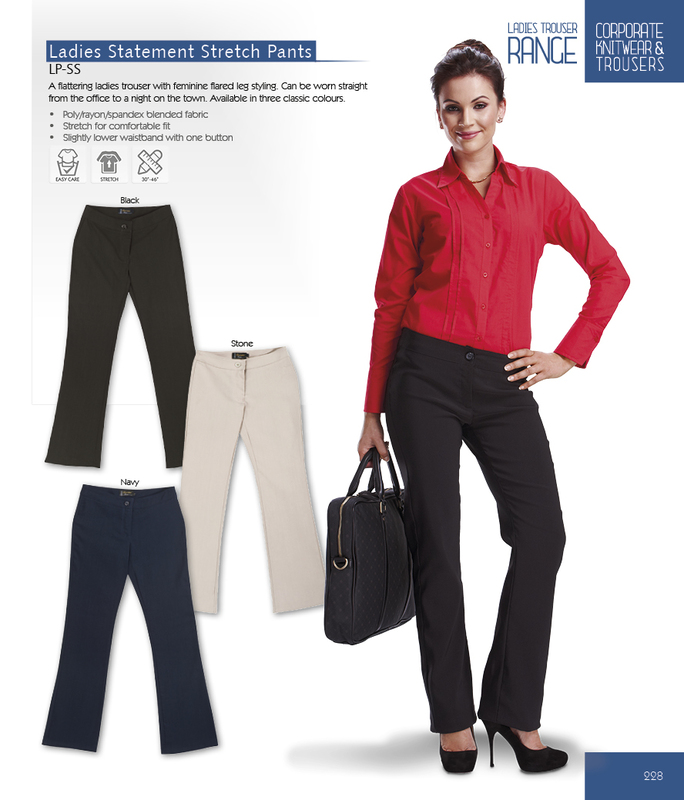 Professional office wear that is functional and well priced. 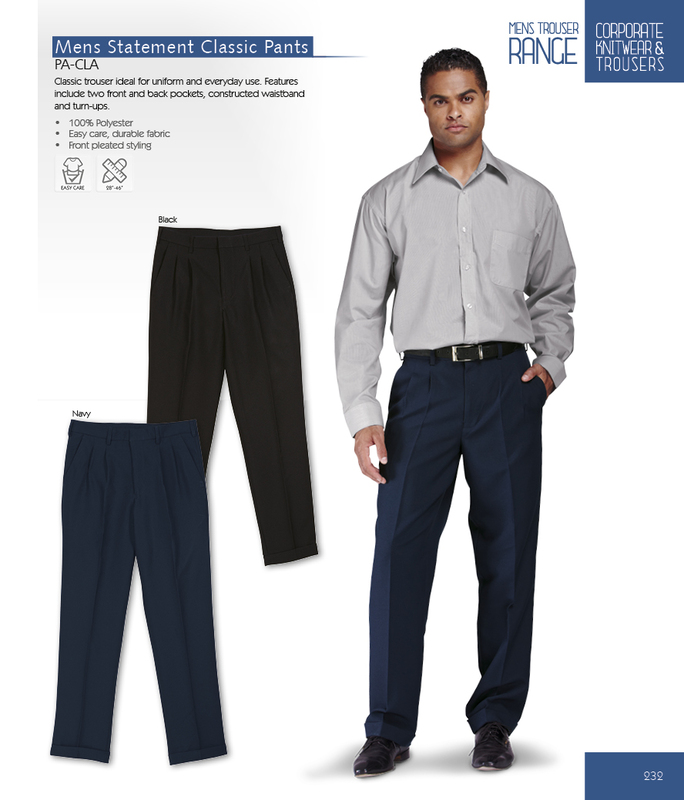 Mechanical stretch fabric that is easy care and durable. Classic jacket to suit your lifestyle. Tailored fit for a more flattering appearance and ideal for the office. Available in two corporate colours. Fashion meets function in this new ladies style crop pants. 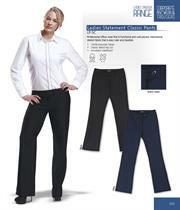 Fabric promotes wearer comfort and great fit. Slightly lowered waistband, with single button closure. Stylish for the office and after work too. A fashionable corporate look for stylish ladies. Ideal uniform element to go with many top options in the BARRONESS range. Also compliments classic tops available in the chain-stores. 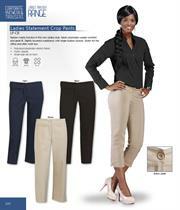 A flattering ladies trouser with feminine wide leg styling. Able to wear straight from the office to a night out on the town. Available in three classic colours. A new addition to the men’s corporate wardrobe. This garment is machine washable due to its easy care 100% polyester fabric. It is fully lined and features tailored fit lines. 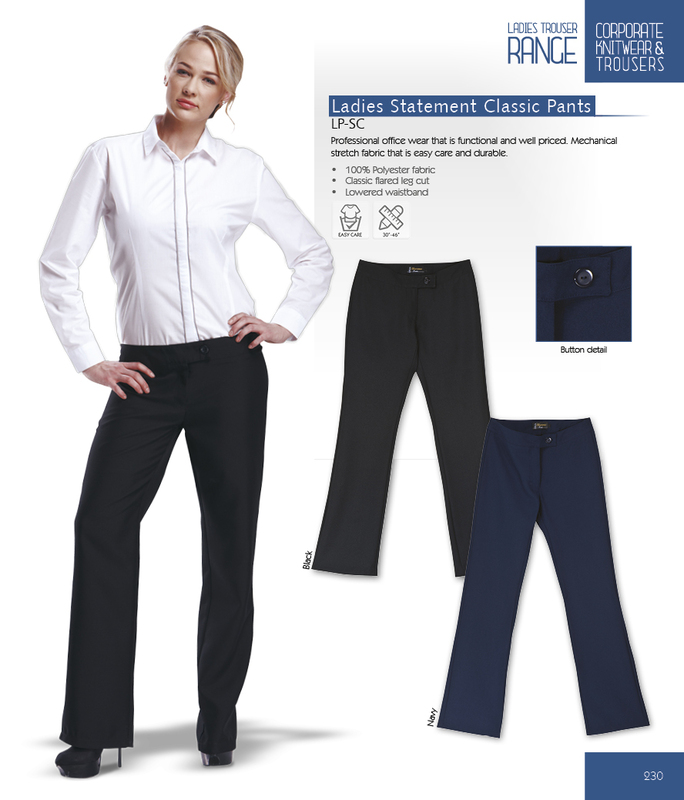 Classic trousers ideal for uniform and everyday use. 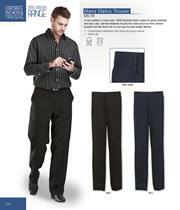 Features include two front and back pockets, constructed waistband and turn-ups. A new option in work wear. 100% Polyester fabric makes for great durability and easy care. 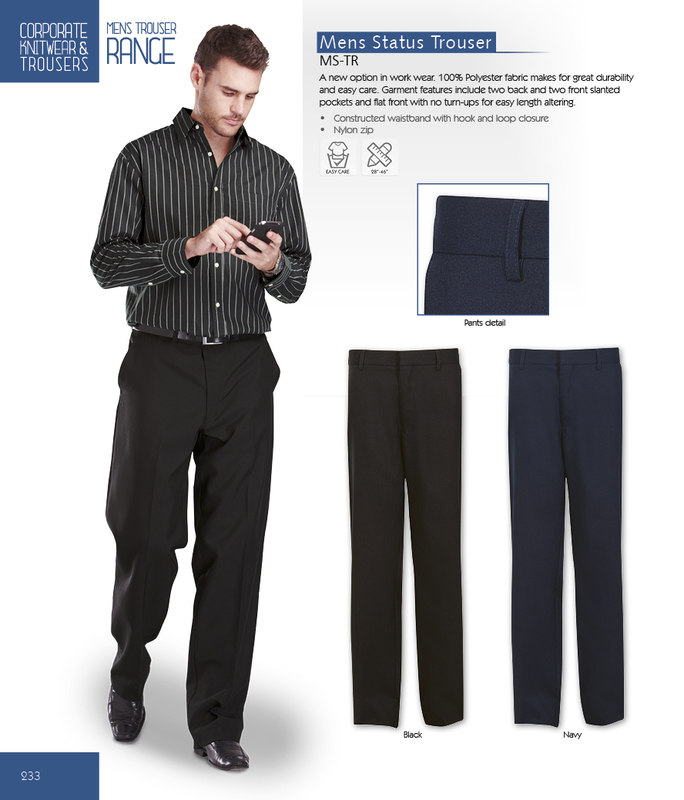 Garment features include two back and two front slanted pockets and flat front with no turn-ups for easy length altering to trouser. 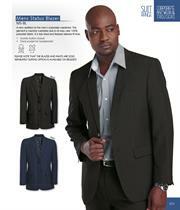 Corporate Wear - Flattering and fashionable corporate wear for men and ladies, ideal for the office. 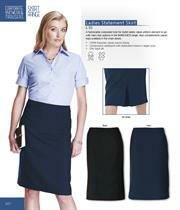 Stylish uniforms and versatile classics by iDesignClothing.